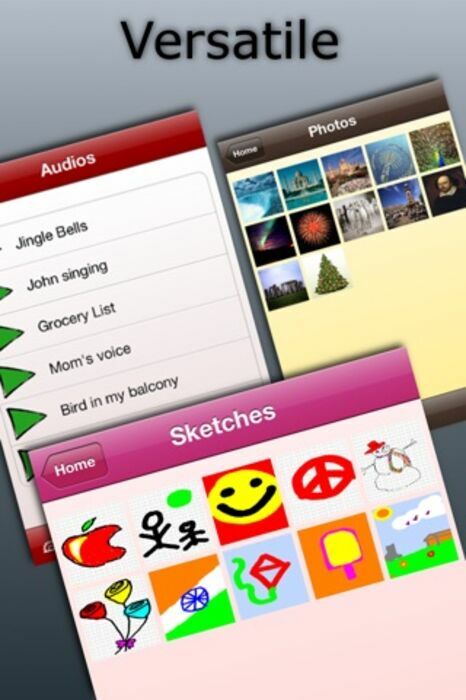 IMPORTANT: The support for this app has been DISCONTINUED. Do NOT download this app. Please look for other options. "Note It Do It" is a Notes/Tasks Manager that lets you "See and Do more in a Single Screenful" than any other notes/tasks manager on the App Store. 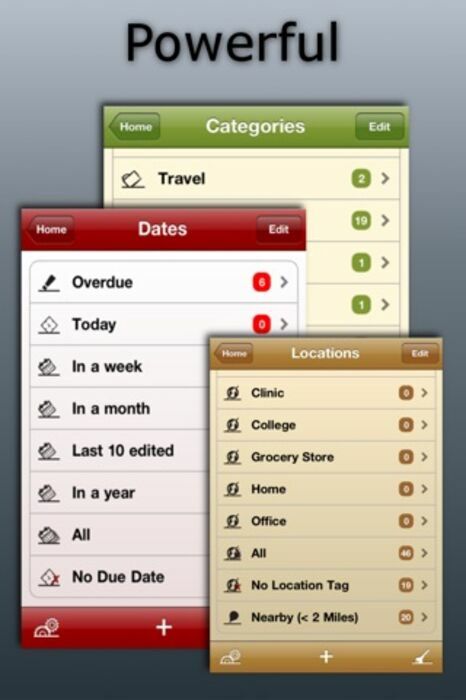 Love it cuz it is easy to see, organize and sort your tasks. I'm a visual person with endless tasks for work and home. Your product has taken me out of the depths of task depression. Thank you! Make this an IPad App! 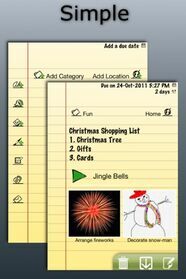 This would be an awesome app for the iPad. Its visual picture base would be perfect. 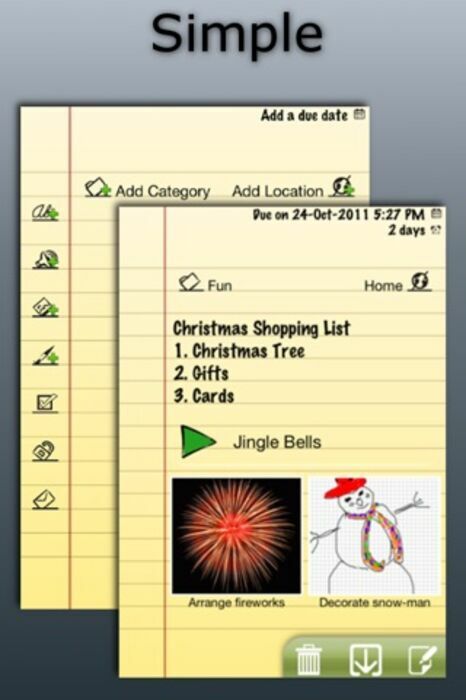 Better than most of the iPad todo apps I have tried or bought and that is a lot of them. Nice app, intuitive and easy to use. I use it daily fast loading, groups, reminders, etc... Good work! This us definitely the whole package for notes and tasks. And this is also it's downfall, IMO. I like that I can add voice, pic, and notes to one item, but it would be great to have a "quick select" menu to add just one type very quickly. When I add tasks, it needs to be quick. Great, great, overall and I plan to get the full version. Very good photo notes, detail and informative with good presentation. If photos could zoom in when review, and let user to show more icons in one screen (by 4 icons per row), it will be just perfect! It's a very good app. Can record notes very easy! Muy buena y sobretodo muy intuitiva. Very good and above all very intuitive. Molto bello, intuitivo e utile!...proprio quello che cercavo, ha anche gli alert! Very nice, friendly and helpful! ... Just what I wanted, it also alerts! Quite useful n attractive features . Just downloaded and yet to make full use of it . Recommended!! Try FULLY FUNCTIONAL VERSION for FREE with 20 Notes/Tasks (more free notes/tasks than ever). 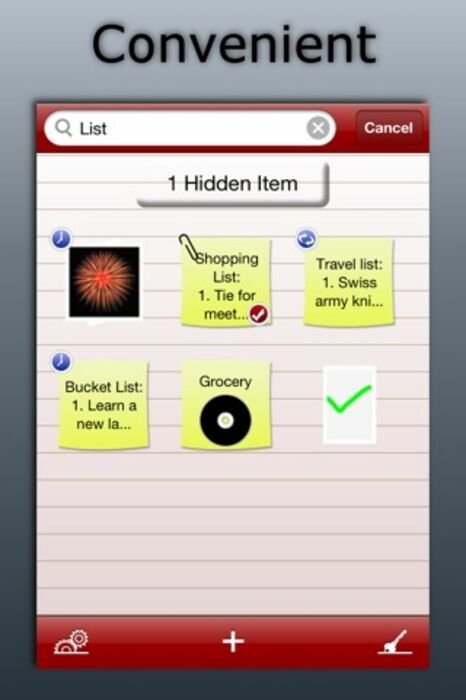 Only If you like it, get the IN APP PURCHASE for UNLIMITED Notes/Tasks.